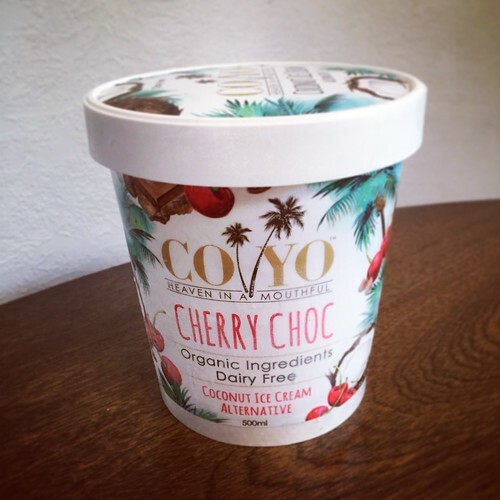 Coconut icecream from Australian company CO YO, better known for its coconut yoghurt. I’ve only tried one flavour so far, but I keep buying it as it’s quite special: Cherry Choc. 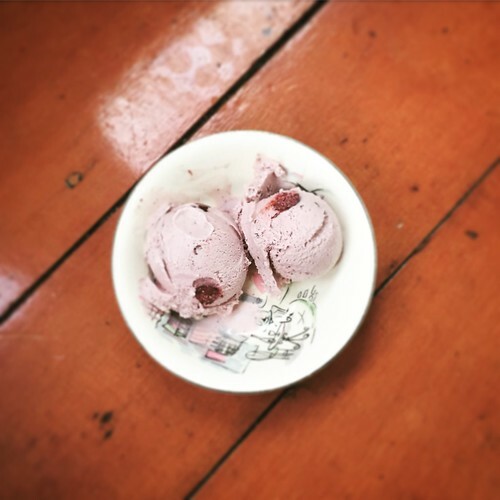 It’s not especially chocolatey (benefitting from the addition of extra cacao nibs or chopped dark chocolate on top), but it’s beautifully creamy, full of cherry flavour and studded with whole frozen fruit. Other flavours I haven’t tried yet include Acai Berry & Blueberry, Cacao, Mango & Lime, Pina Colada, Tamarind & Sticky Date, and Vanilla & Nutmeg.